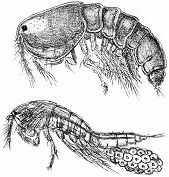 The fifth volume of Sars's comprehensive "Account of the Crustacea of Norway", Copepoda (Harpacticoida) covered all known Norwegian Harpacticoida at the time of publication (1911). 284 plates provide detailed illustrations of all the species; each species description includes male and female characteristics, Norwegian occurrence and world distribution. Out of print and very scarce for many years, 'Harpacticoida' is now available on CD-ROM, for Windows PCs and Macs. The plates, figures and text are reproduced exactly from the original, with the added bonus of being fully cross-referenced and searchable for ease of navigation. In addition, high-resolution scans of all 284 plates are included separately on the CD.